In his book “The Four: The Hidden DNA of Amazon, Apple, Facebook, and Google,” author Scott Galloway makes the case that it is very difficult for the average person to get through the day without interacting with at least one of these companies. Many people interact with all four of these companies regularly. These companies are so big that we don’t always see them and so embedded in our lives that we don’t always notice them. The “four” have carved out their own niches, but Galloway theorizes that a time will come when they will have to compete with each other because there simply isn’t anywhere else for them to grow. And that time might be closer than we think. Google My Business appears to be an attempt to box companies like Facebook out of the search equation entirely. Today we’re going to take a look at how Google searches and social media can be effectively deployed in conjunction with each other – and why you shouldn’t delete Facebook just yet. Information-driven Google gave you the “what” of a business (name, address, phone number, website, hours, etc.). Social-driven Facebook gave you the “who” of a business (posts, pics, videos, reviews, etc.). Google My Business has introduced many of the characteristics formerly associated with social media to the “search level.” When someone searches for your business, they don’t just get the core stats, but they also get the social-driven features like micro-blogs, pictures, videos, etc. So if Google My Business is one-stop shopping, why are you spending the time and energy to maintain both? Trust – or rather, the lack of trust – is still a major factor in successful internet searches. As it stands, many people Google first and then go to a company’s social media page to confirm minute details like hours, location – and sometimes to confirm if a company even really exists at all. While they’re there, they’ll consider how engaged the company is with its audience, view some of their photos and check out the reviews. A business without a social media presence is still a big red flag to potential customers. However, if all of that information is available at the Google search level – blogs, videos, pictures, reviews, and so on – then it is conceivable that at some point down the road, there will no longer be a reason to visit a second location like Facebook. Fortunately, for Facebook, there is a second business use for social media that Google My Business doesn’t tread on…yet. Facebook and other social media platforms are directed towards people who already know about your company. Not only do they know your company, but they already like and follow your company. This is, of course, great news. However, if your goal is to expand your customer base, your social media presence is preaching to the choir. Your followers already know how awesome you are. It’s good to remind them from time-to-time – and it’s good to tell them that they’re awesome – but social media isn’t an ideal platform for brand discovery. There are ways to grow your brand on social media, but then you’re getting into paid services like “Boosting” ads and targeting ads using Facebook Ads Manager. There is, of course, nothing wrong with doing so if you have the budget and you can confirm that this is the best way to reach your target audience. Social media is a nice enclosed area on the internet where people who share their interest in your company can gather, and the company can – and should – foster that interest as an opportunity to build and reward loyalty. In this example, social media is incubating a strong customer relationship. But the seed was planted by Google. When people are looking to solve a problem, they begin by searching the problem. If they already knew the answer, they wouldn’t need to search at all – or they could simply confirm your contact information through Facebook. “Problem first” searches are one of Google’s strengths. 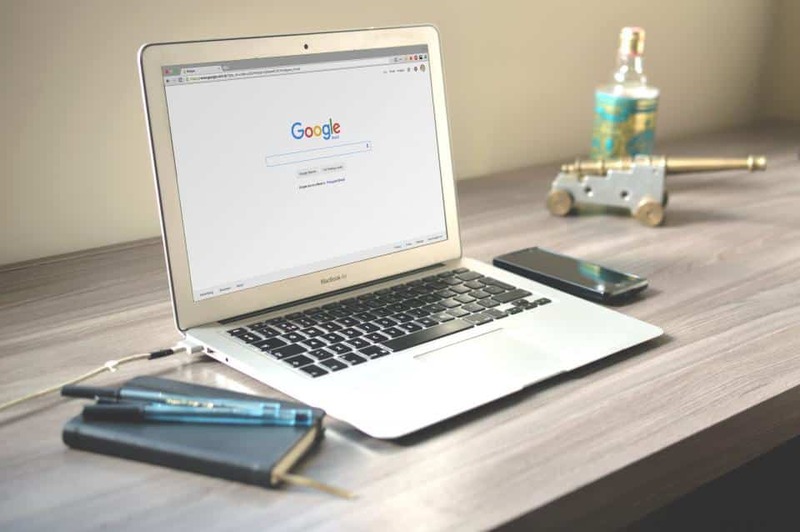 What searchers find here will guide the rest of their experience, and Google My Business provides them with everything they need in one place – all updated and confirmed by the business itself – removing the temptation to do further research on Facebook. If they like what they see, they simply click to call. And once you’ve completed a job well-done, direct them to your social media to continue that relationship after the transaction. Speaking of which, if you want to know more about our services, check us out here. If you’re already a fan, please consider giving us a “like” and a “follow” on Facebook.